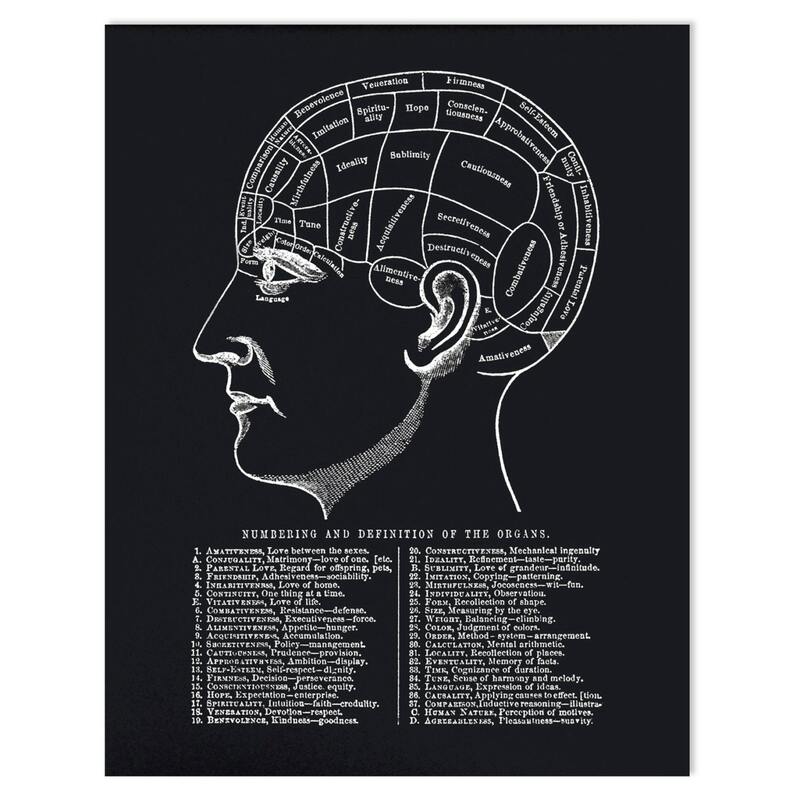 Vintage Phrenology Chart Reproduction Poster. 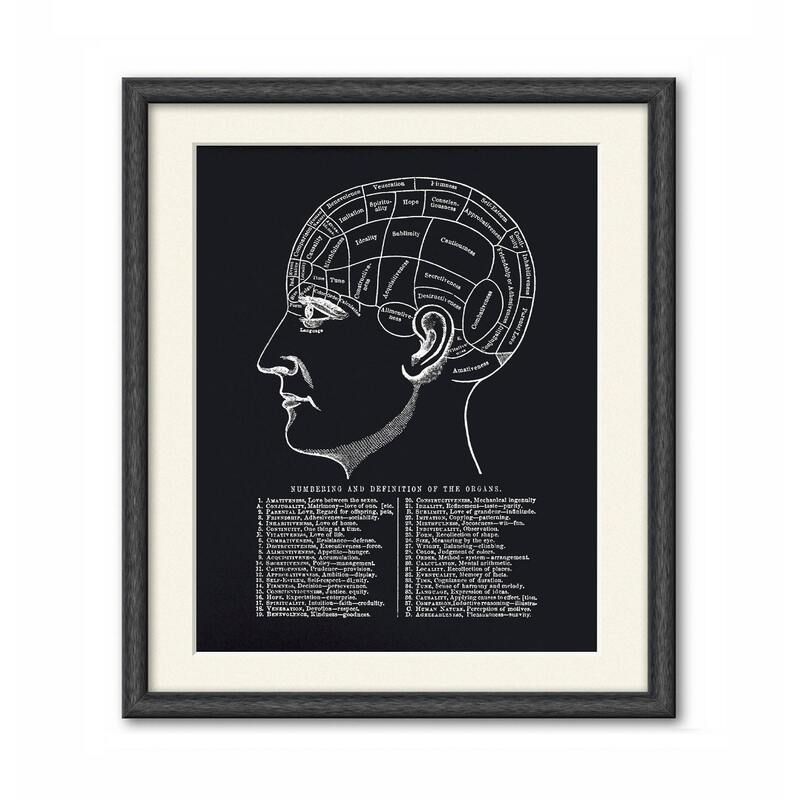 Original art from The Self Instructor in Phrenology and Physiology by Fowler, O.S. and L.N. The pages have been scanned in, cropped, and retouched to ensure the highest quality reproduction possible. This print is digitally printed on velvet fine art paper, 100% cotton fiber, acid free, 19mil. All prints available in sizes: 11x14, or 16x20.